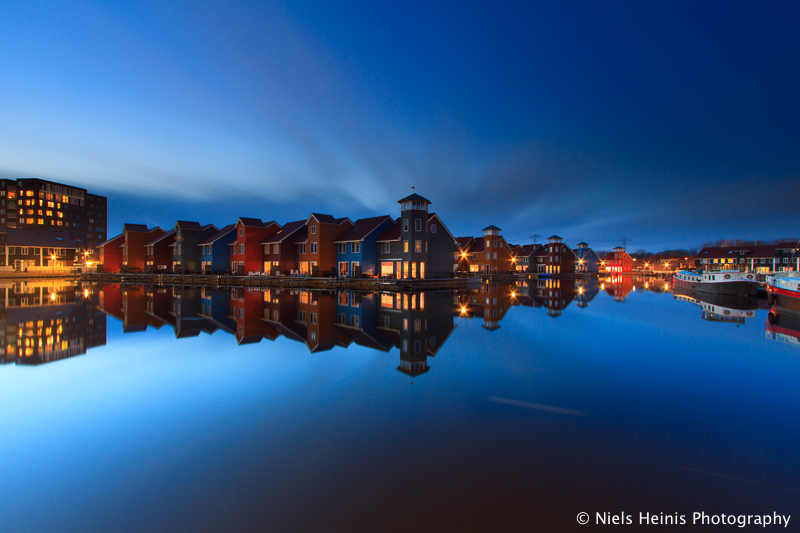 Very close to home I witnessed and photographed the blue hour at the Reitdiep Haven. 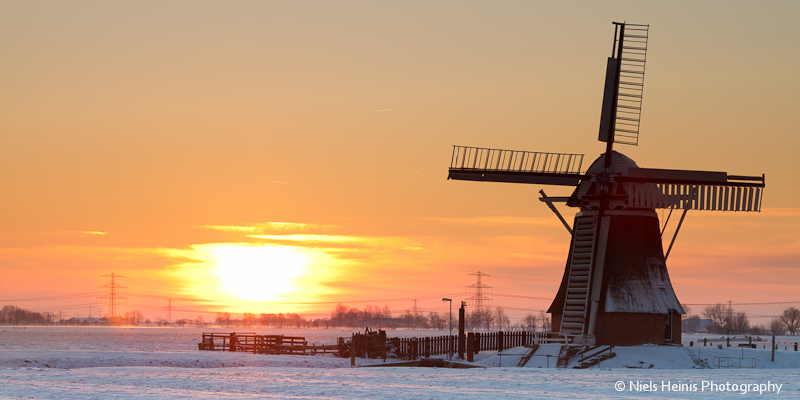 This is a very recent part of the city of Groningen, situated in the North-West. It’s well-known because of the bright-coloured houses.